After South Africa achieved self-rule in 1910, the white settlers began to limit the freedoms of the Black South Africans. 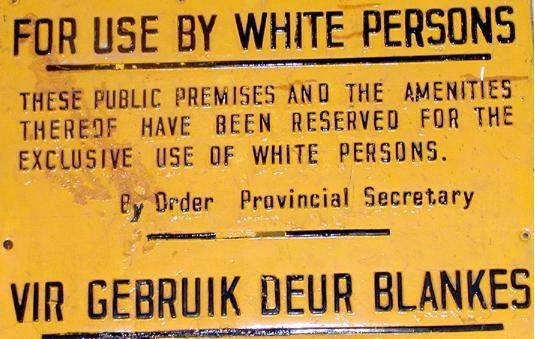 After 1948, the South African government, which consisted of mostly White South Africans, created laws that allowed segregation between groups of people. This is known as “Apartheid”, which means “apartness” in the Afrikaan language. Under apartheid, all South Africans were placed into 1 of 3 racial categories: White, Colored, and Asian. According to the white South Africans, apartheid allowed for each group to create and shape its own culture. Apartheid forced non-whites to live in horrible conditions and have limited access to jobs and other goods. Apartheid ended in 1989 and South Africa had its first free elections in 1994; Nelson Mandela, an important anti-apartheid leader, was elected as president.